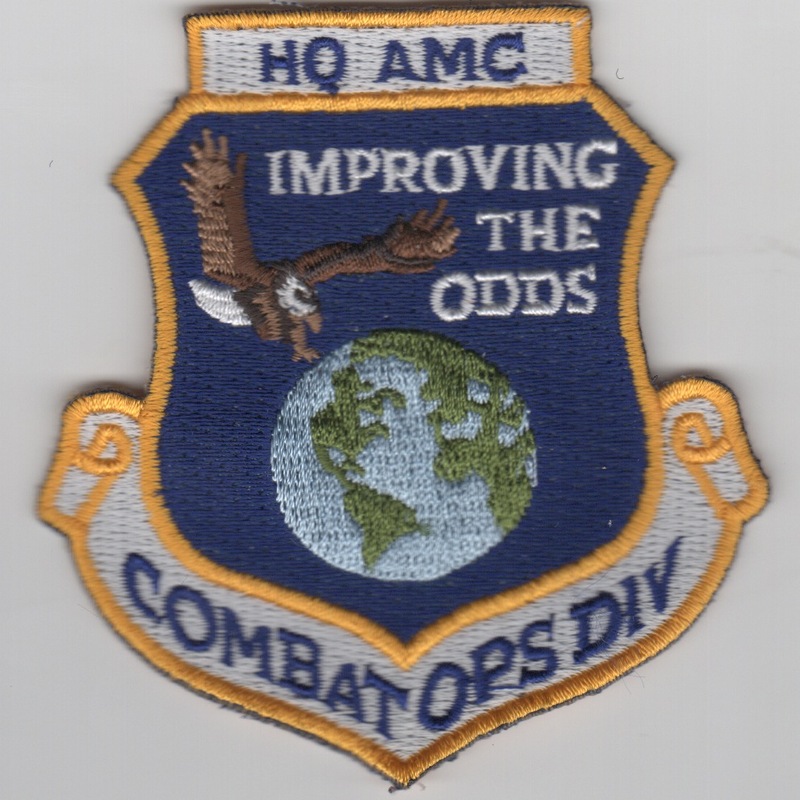 This is the color version of the Air Mobility Command HQ crest patch for the Combat Ops Division. This patch does NOT have velcro already attached. 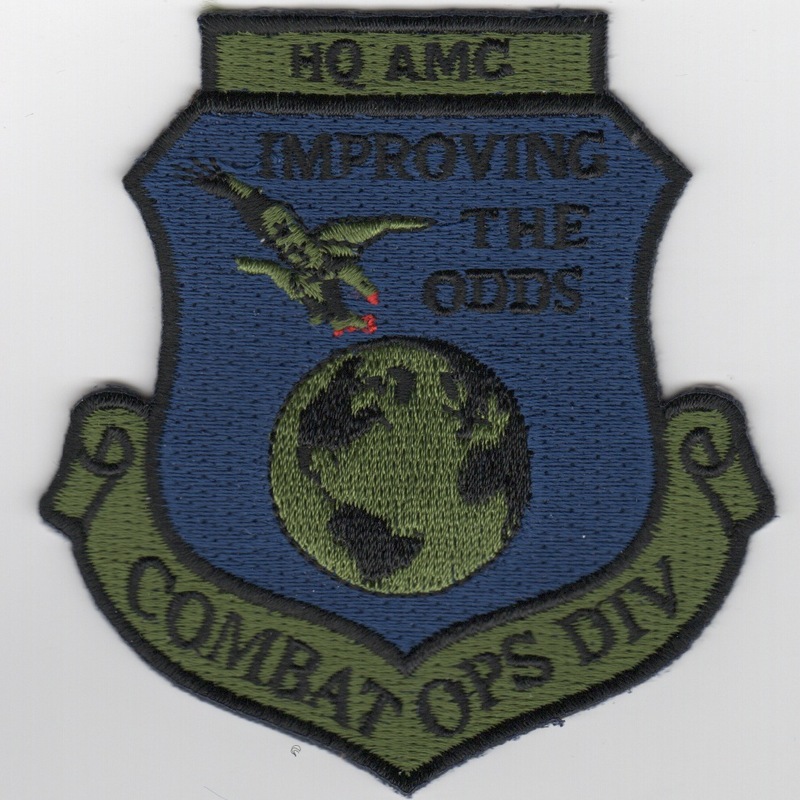 This is the subdued version of the Air Mobility Command HQ crest patch for the Combat Ops Division. 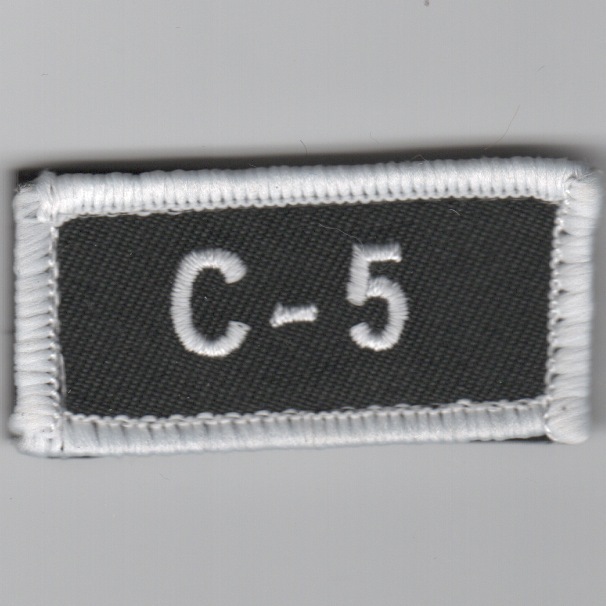 This patch does NOT have velcro already attached. 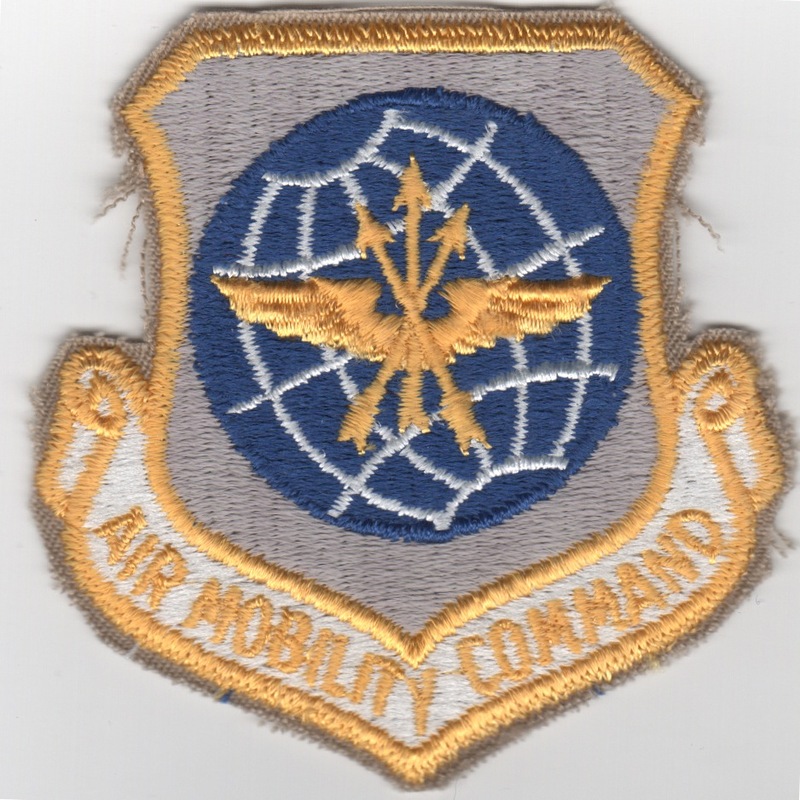 ir Mobility Command was established on June 1, 1992 from elements of the inactivated Military Airlift Command (MAC) and Strategic Air Command (SAC). AMC melded a worldwide airlift system (MAC) with a tanker force (SAC) and their mission is to provide global air mobility. The command also plays a crucial role in providing humanitarian support at home and around the world. AMC Airmen...active duty, Air National Guard, and Air Force Reserve, augmented by the civilian airliners and flight crews of the Civil Reserve Air Fleet (CRAF) provide airlift and aerial refueling for all of the United States' armed forces. Many special duty and operational support aircraft (OSA) and stateside aeromedical evacuation missions are also assigned to AMC. 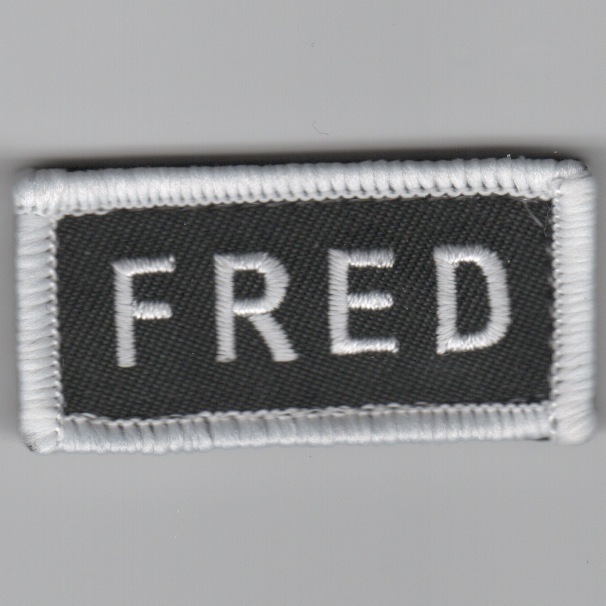 This patch does NOT have velcro already attached. This is the desert version of the 1st Airlift Squadron Patch. They fly the C-32 out of Andrews AFB, MD. In the early days, they flew C-135B tail #s 62-4126, 62-4127 and 62-4130 as well as a few odd C-135s including 55-3118 (the first 135 delivered to the USAF); military 707's VC-137B tails 58-6970 (the first jet to carry a US President, in 1959), 58-6971 and 58-6972 as well as C-137C 85-6973 and 85-6974 and VC-137C tails 62-6000 (the first purpose built Air Force 1) and 72-7000 (the second one); and military 757's C-32B tails 98-0001 and 98-0002. 99-0003 and 99-0004 arrived shortly thereafter. 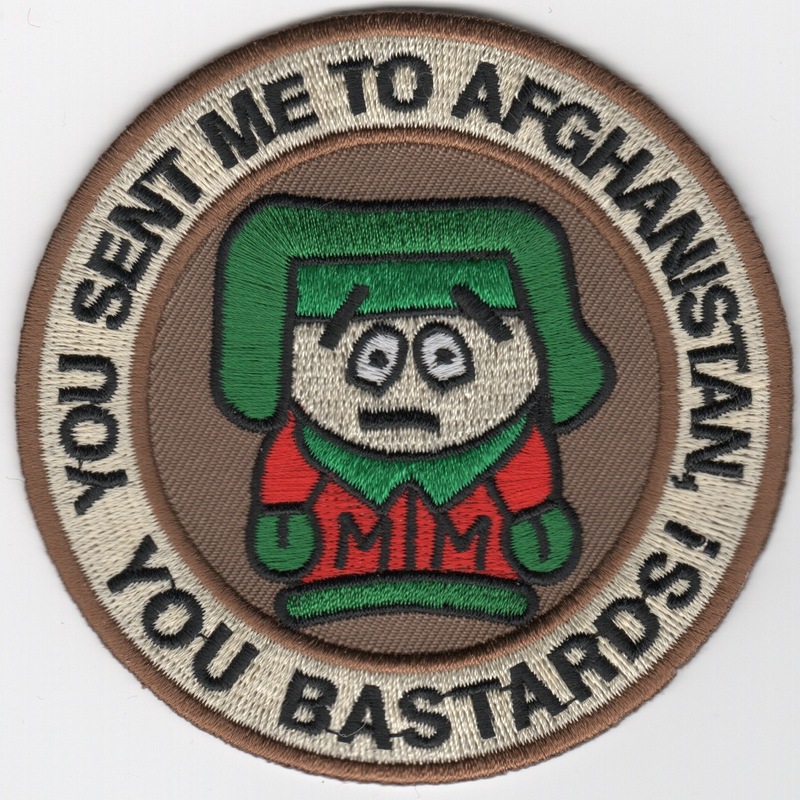 This is the "Friday" patch for the 4th Airlift Squadron. 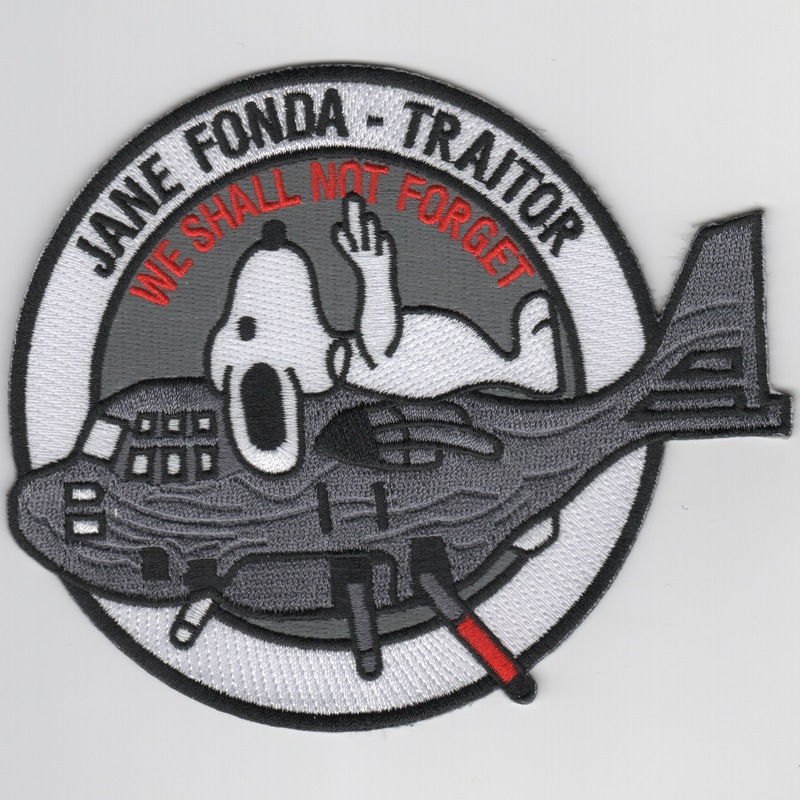 This is the decommission patch for the 6th Airlift Squadron. It says "C-141 Special Ops" along the top with the dates of service of 1980-2002. 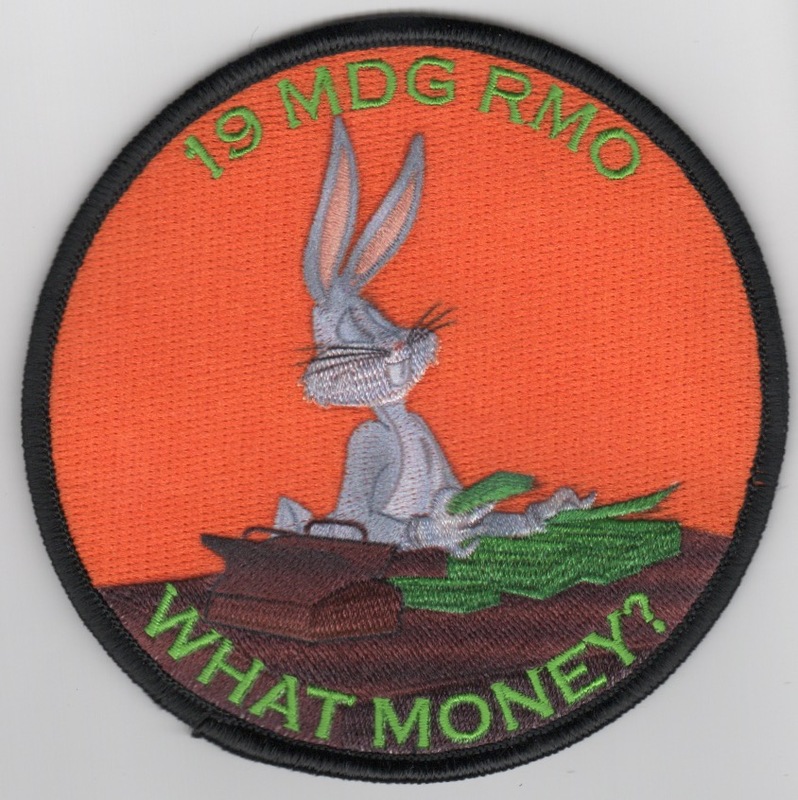 This is the squadron patch for the 12th Combat Cargo/Troop Carrier Squadron. Dating back to the early days of WWII, both in the CBI and in the European Theater, thru the Berlin Airlift, and into the hottest part of the cold war, the 12th has a proud and rich history as one of the first-line Combat Cargo/Airlift units to serve with the U.S. Army Air Corps., and with the U.S. Air Force. This is the old-styled reproduction version of the 15th Airlift Squadron "Global Eagles". The 19th Medical Group provides aerospace, primary care, dental and preventive health care services to 5,823+ military personnel assigned to the 19 AW (AMC), 189 AW (ANG), 314 AW (AETC), 10 tenant units and 38,635+ non-active duty beneficiaries in central Arkansas. This patch does not come with velcro attached. This is the color version of the 21st Airlift Squadron Patch. They fly the C-5B Galaxy out of Travis AFB, CA. 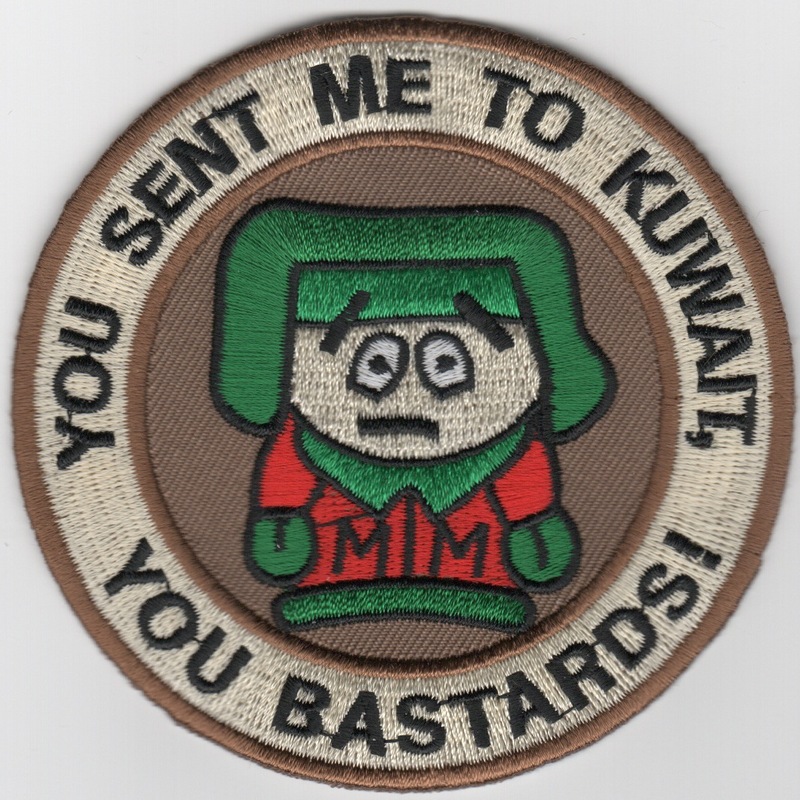 This is the desert version of the 21st Airlift Squadron Patch. They fly the C-5B Galaxy out of Travis AFB, CA. 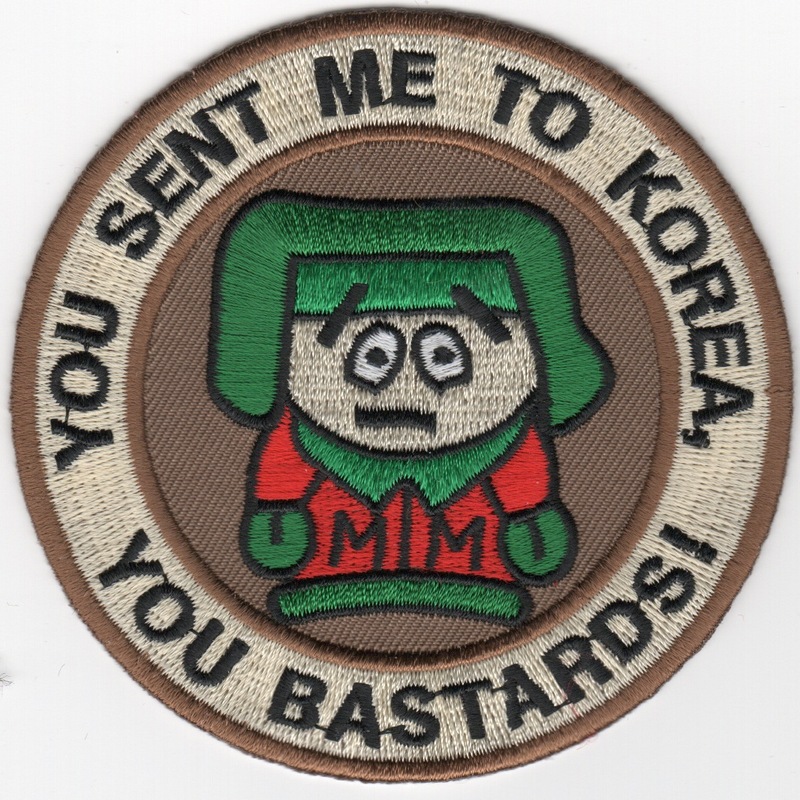 This is the subdued version of the 21st Airlift Squadron Patch. They fly the C-5B Galaxy out of Travis AFB, CA. 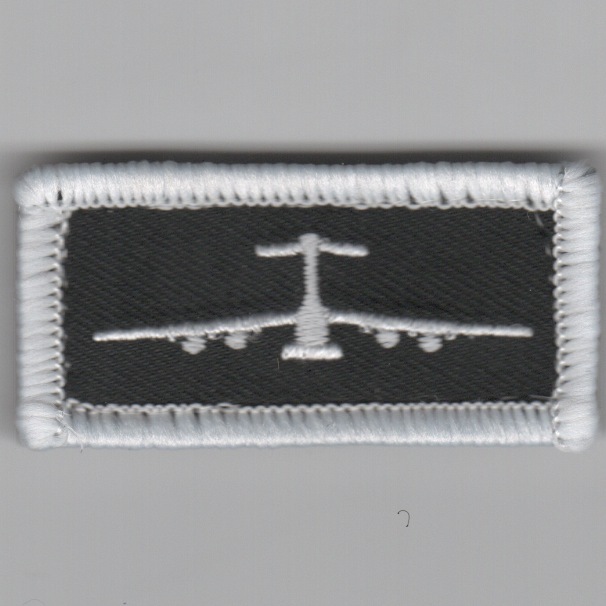 Homepage | Order Airlift Patches!